I am a fan of the Ed Schultz message, but not the show. He's too bombastic and self-righteous, sort of the parallel universe version of O'Reilly. Thus while I am a target demographic for MSNBC, I don't watch in the most visible time slot. Seems I wasn't alone. On Wednesday night, Schultz had two major announcements. First in perhaps the scoop interview of 2013, he landed Scott Prouty, the bartender who shot the infamous 47% video at a 50K-a-plate Mitt Romney fundraiser last May. Prouty (a registered Independent) had many offers, but he chose Schultz to be the messenger because of the host's well-known advocacy for the common man. The interview was completely thorough. Schultz got into Prouty's head, explored his motivation for shooting the video and what he wanted to achieve by releasing it. By the end of the hour, I was quite impressed with the way it was all handled and expected that I would now flip on The Ed Show from time to time - at least for the week between the end of college hoop season and the start of the baseball season. But alas I won't have the chance. Ed is moving to weekends. He can say all he wants about how he lobbied for it, but nobody leaves a weekday 8 PM window voluntarily (unless you're Keith Olbermann, but don't set your watch to anything he does). So MSNBC, who had likely made up their mind on this long before Schultz landed Mr. 47%, wanted to go younger, subtler, wonkier. Chris Hayes, the host of the popular weekend morning show Up With Chris Hayes is a logical, progressive, up through the ranks promotion. I enjoy him, I will watch, and it's the wrong move. I love to speculate on network programming when it's not a network that employs me - that would be inappropriate and career suicide. Of course if I did that, it would probably generate a lot more traffic to this site. So Backtime's Editorial Department will stick to what it does best - TV viewing (as opposed to TV producing which is #1A). 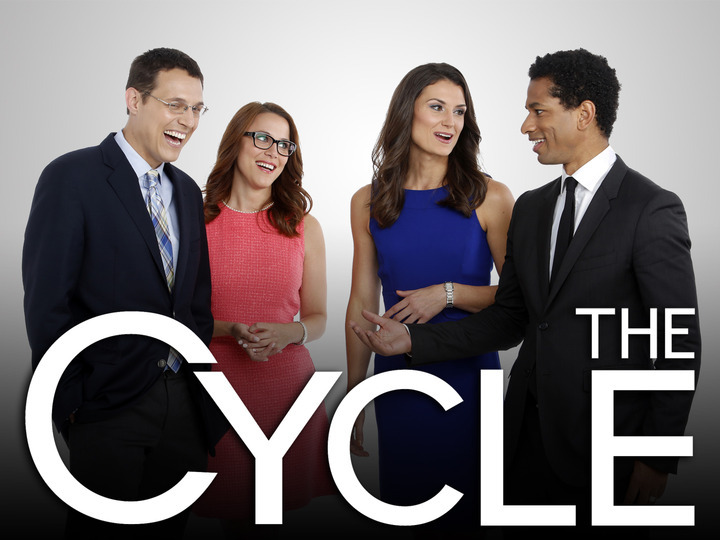 The show on MSNBC that would generate the buzz and the ratings to take on Bill O'Reilly and Anderson Cooper is The Cycle. The show is barely a year old but ready for primetime. Three libs and one conservative, they are rapid-fire and good-humored, and interchangeable in the host role. Toure' is their lightning rod for controversy and S.E. Cupp is one of the top (few) conservative/opposition voices at MSNBC. It's a relatively new formula, so the network brass might still be playing it safe. 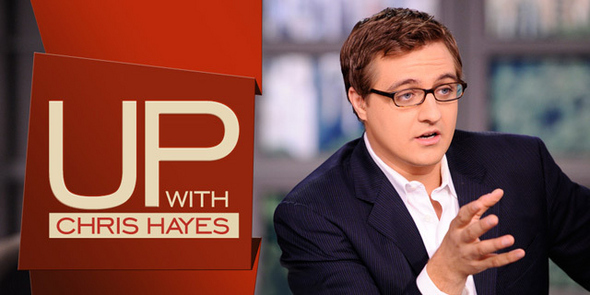 Chris Hayes is very safe for a progressive audience, but a shake-up at 8 PM is in order.